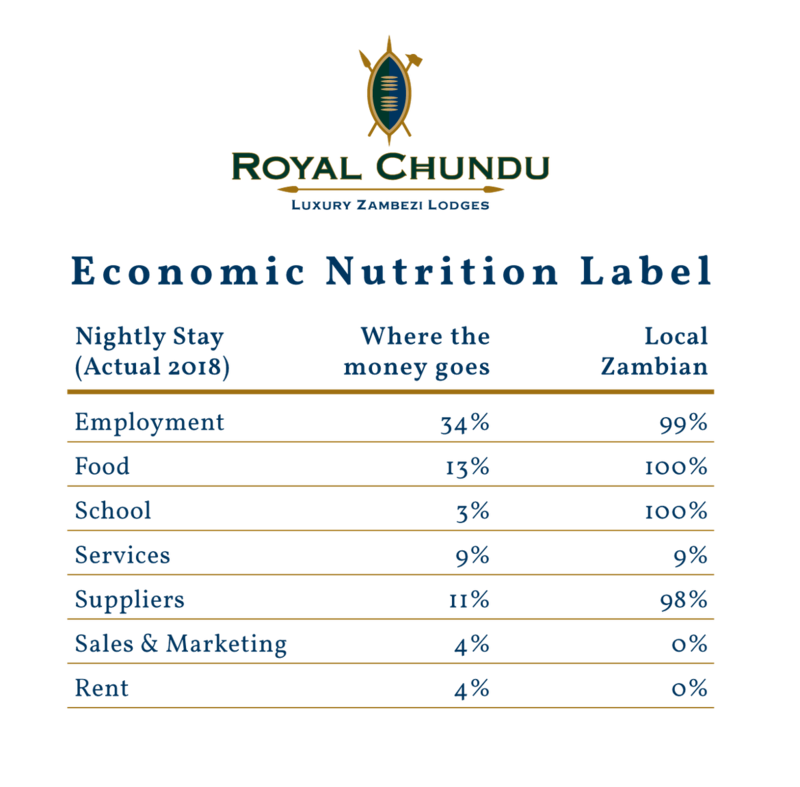 Community is at the heart of everything we do at Royal Chundu. It is our purpose, our hope, our strength. Our life and love. We exist in harmony with the villages on either side of us – Mushekwa, the mostly agricultural village, and Muluka, the local fishing village. 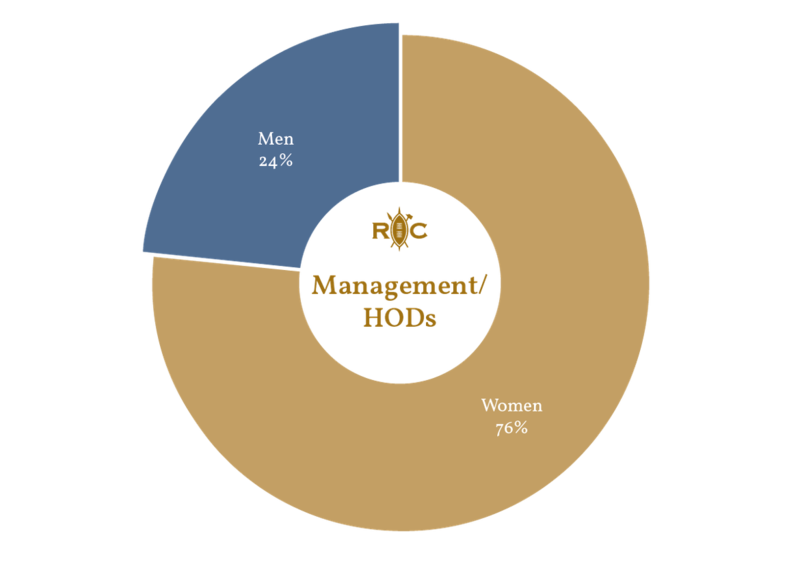 We employ almost exclusively local people - in fact our staff are 99% Zambian, including from the neighbouring villages. The faces you will meet here don't just speak the language of the country, they hold vast traditional knowledge of Zambian life, cuisine and the natural surroundings – from the indigenous plant life to the birds and fish of the Zambezi. 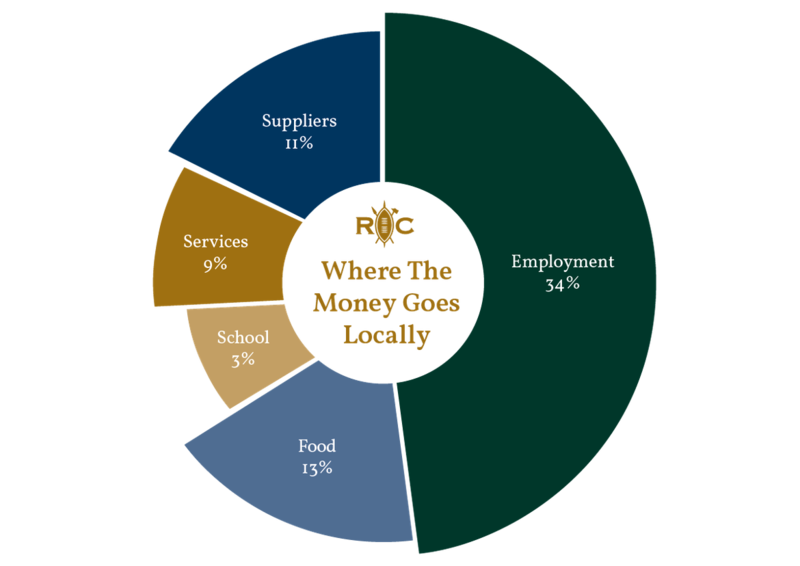 We use revenue generated by the lodge to uplift our local communities. 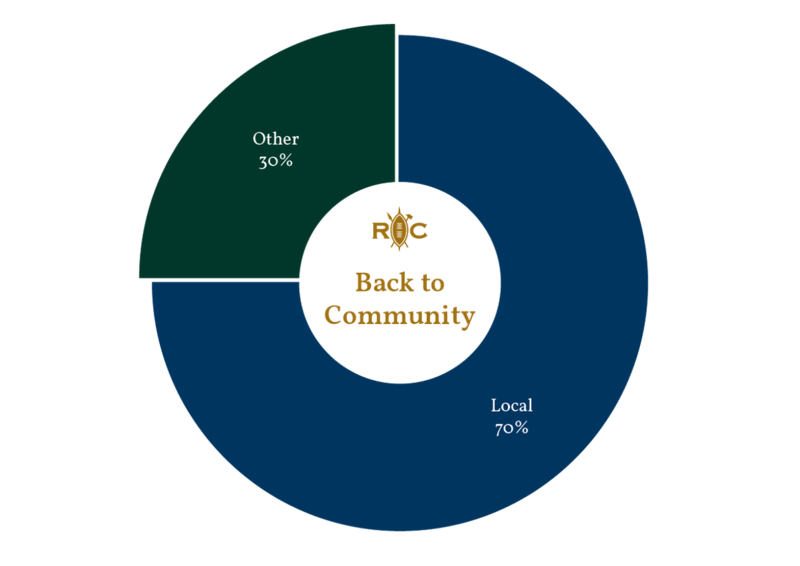 70% goes back into the local community – with 34% to employment, 13% to food, 11% to suppliers, 9% to services, and 3% to our school. We created the Royal Chundu Foundation and built a school for primary school children in the area to learn the Zambian curriculum on tablets. Many of the children of our staff members are schooled at the Royal Chundu Foundation School, allowing our family and greater network to benefit from education and its opportunities. One of our main produce suppliers, Annabel Hughes Aston, has a vegetable garden at the pre-school on her farm. Here she teaches the students about growing their own produce and how this feeds them each day at the school. We will be introducing the same project at our school on the lodge property. We offer training to anyone in our community through online hospitality courses and then practical experience at the lodge to back the online course up, in order for villagers to obtain certification. We run a Seed Project in the villages, donating seeds to anyone in our surrounding villages who wishes to grow crops for our kitchens. We donate the seeds to the community member, they grow the vegetables, herbs or flowers for us, and we then buy it back at market cost. This way we have fresh, organic produce for our guests and kitchen, and we empower community members to have a business at the same time. We run a similar project with crafts in the local village, donating items that the community members turn into arts and crafts to sell to us or to our guests through our lodge boutique or the village market, where guests are able to purchase items from the community. We support local fishermen by buying fresh fish from them – often from mekoro arriving on the water or River or Island Lodge – giving our guests a true taste of Zambia and monitoring that sustainable fishing measures and regulations are adhered to. We have various village Water Well Projects that we run through the Foundation on behalf of generous guest donors. We work with Pack For A Purpose - an initiative that encourages travellers to make a lasting impact in their travel destination by packing supplies for local communities, schools and clinics in need. Join us on a visit to the local village during your stay and get to know the personalities that make up the Royal Chundu family.